Bible Cartoons: Ezekiel goes green on Bible Cartoons! Ezekiel goes green on Bible Cartoons! 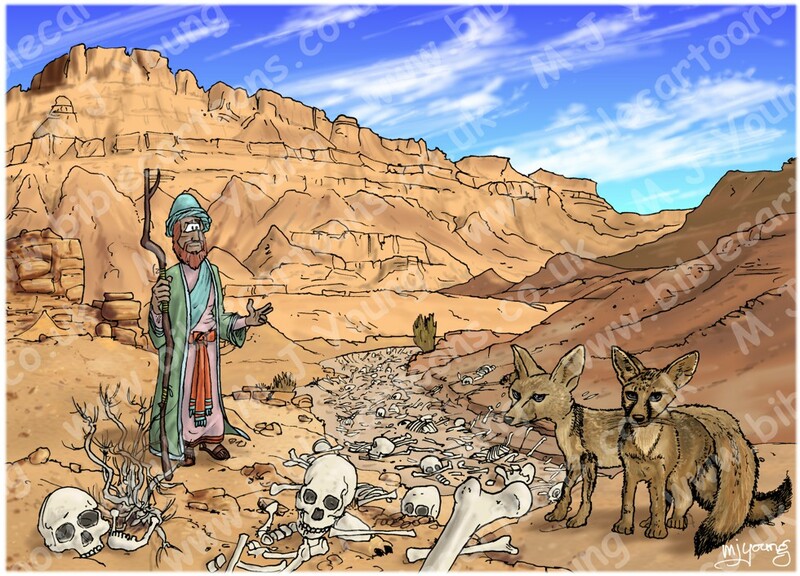 I’ve just finished the very first Bible Cartoon I’ve ever drawn for the Bible book “Ezekiel”. That means that on the website “Search by Bible Book” page, the box which has been red (indicating that there are no cartoons in that book) has now turned green – hurray! Oddly enough, earlier in the year I thought of drawing the valley of dry bones vision pictures of the prophet Ezekiel, but when I came to start drawing, my heart just wasn’t in it – most odd! So I abandoned that series of drawings in favour of another subject. I’m glad that upon returning to this scene I at last have finished it!